Free (legal) P2P Music Downloads? Told You So. I know I’m starting to sound like a broken record, but in case you haven’t heard: The era of paid music downloads is coming to an end (despite the fact that online sales are growing). 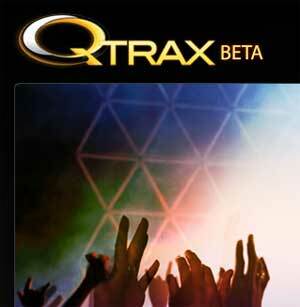 Qtrax, which has signed all four major labels (EMI, SonyBMG, Universal Music Group and Warner Music Group), launched yesterday with 25 million songs (compared to around 3 m for Amazon and 6 m for iTunes). Note: See update below. It isn’t pretty – the downloaded songs are not compatible with iPods and have to be played via a proprietary player built on the Songbird platform. Ads are displayed during playback, even on music devices. For now the service is Windows only, so Mac users are left out. And right now the service is down completely from all the attention it’s getting. For most people, BitTorrent and the music search engines are all they need for their illegal-but-highly-convenient music needs. Any additional hurdles means not a ton of usage. And since services like Imeem and Last.fm provide free on demand streaming music with ads, there is already real competition out there for Qtrax. But the trend is clear – labels have given up on DRM completely and are willing to experiment with ad supported free downloads. Once they give up on the ad supported part of the model and just realize that recorded music is nothing more than marketing collateral for other revenue streams like live performances, we’ll have gotten somewhere. But my guess is that one of the labels has to go out of business first for that to happen. Update: based on emails we’re getting, it sounds like Qtrax hasn’t actually signed all four labels – at least one or two remain on the sidelines. Silicon Alley Insider says three of the four labels have confirmed that they AREN’T in, making Qtrax look like a bit of a joke right now (I won’t use the word “fraud” until this all sorts itself out and I’ve had a chance to talk directly to the company).